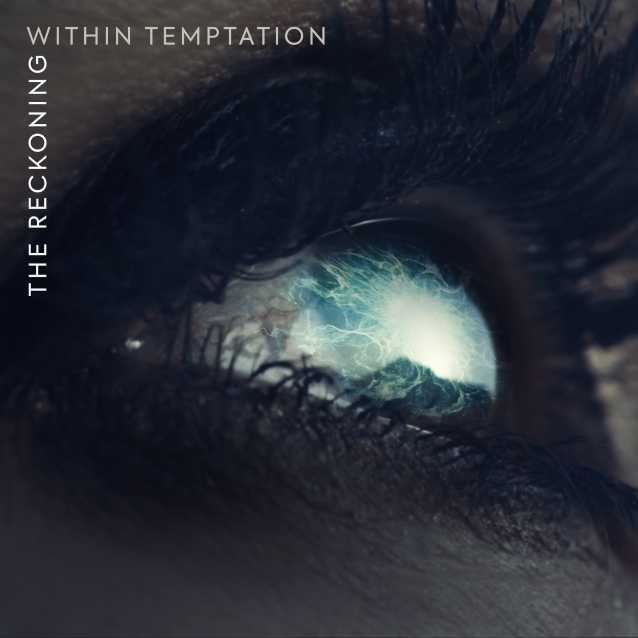 Dutch metallers WITHIN TEMPTATION have released the official lyric video for "The Reckoning", the first single from their forthcoming studio album, "Resist". The track features a guest appearance by PAPA ROACH frontman Jacoby Shaddix. "He's so much fun!" WITHIN TEMPTATION vocalist Sharon Den Adel told Metal Hammer about Shaddix. "He's just fun to be around. After he recorded his part, he was, like, 'You guys are so great — you've been going 20 years, and with this song, you'll be going another 20." 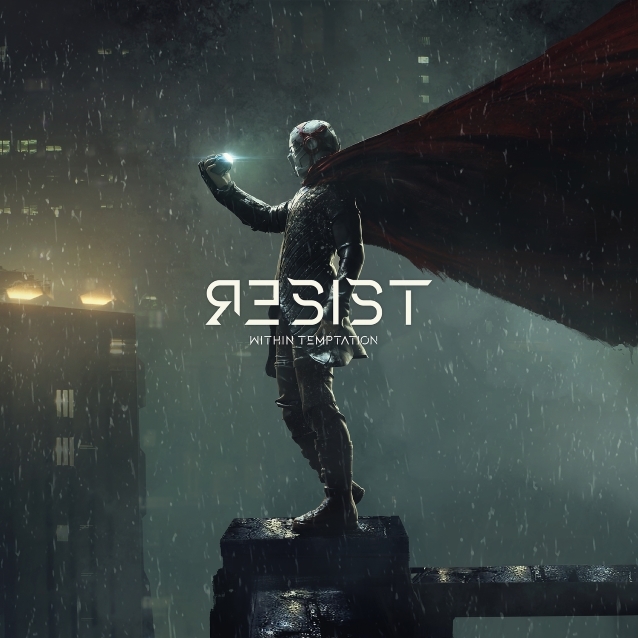 "Resist" will be released on December 14. It is the band's first release through Spinefarm Records, the specialist hard rock label of Universal Music Group. "Resist" will also feature IN FLAMES' Anders Fridén and ARID's Jasper Steverlinck on guest vocals. Sharon told Metal Hammer that "Resist" sees WITHIN TEMPTATION taking inspiration from modern music, but giving it a "dark" face. "Sometimes it feels that today's pop music lacks a rebellious edge," she said. "Our main goal was to collect pieces from sounds we did like then roughen the whole thing up as much as we could, allowing us to shape a new musical world that is heavier, dirtier and more futuristic than we've ever created before. 'Resist' is our new take on metal; our way of giving a fresh lease of life to the rebellious edge of modern music." Earlier this year, Sharon told Cryptic Rock that the four years since the release of WITHIN TEMPTATION's last album, "Hydra", have been "like a roller coaster. It has always been like a roller coaster with WITHIN TEMPTATION, since the day we started the band," she explained. "The train started moving and it just has kept on going. Also, with 'Hydra', it was a very successful album, we toured everywhere in America and Europe. It was an intense tour again, although we did try to plan it a little bit better from previous years. "When I returned home, I was pretty exhausted," she continued. "Normally, when I come back from a tour I have a lot of ideas and I want to start writing again immediately. This time, I didn't have any energy for anything, I was really exhausted. I thought, 'Okay, I am going to start anyway,' but nothing came out, and it was pretty frustrating. Also, that has always been my way to deal with life — I love writing music, it's the best thing for me, even more than being on stage because that's where everything starts creatively. There was an essential part of me that didn't work anymore. I didn't panic in the beginning, but later, I panicked a little bit more because I felt, 'Okay, if I don't have this anymore, did I lose the magic somewhere? What is happening to me and why?' Figuring that out, I came to the conclusion that I didn't have the kind of vibes I needed to write songs for WITHIN TEMPTATION. WITHIN TEMPTATION is big, storytelling, but epic and always very powerful as well as uplifting in a way. I didn't feel that way at all and it's very difficult to write that kind of music if you don't feel that. "I felt like I needed to take a step back to see why that was happening and why I was feeling this way," she added. "It was taking more time for myself to do a little bit of soul searching. [Laughs] There was some time I took off for that, it's still a process that goes on and on, and it went deeper than I thought. I have been touring WITHIN TEMPTATION for so many years and there is always a pressure to perform. Also, I never really had the time to re-evaluate what I was doing, to think, do I still like what I am was doing? I liked what I was doing, but I never had the time to process the highs and lows of our career as well as personal life. That was in front of me and I needed to deal with it. Out of that came music again." Den Adel's pop solo project, called MY INDIGO, released its self-titled debut album in April. When she first announced the project's existence, she said that that composing the songs for the disc was a therapeutic experience that helped he deal with a family "crisis." She later said that her "dad got very sick" during this period, which made her "think about how I want to spend the next 20 years in music, and what do I want to do with my life."